Many professional EFT trainings are designed for people who want to practice EFT in a therapy or consulting fashion. 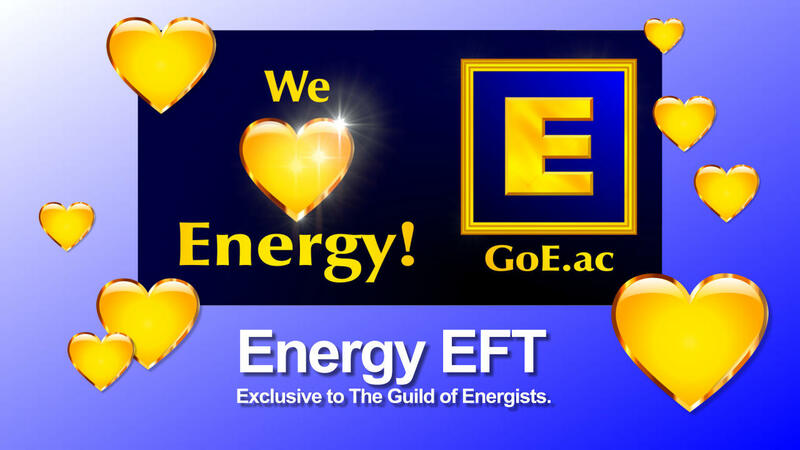 The Energy EFT Foundation Course exclusive to GoE is particularly designed for EFT Self Help. Gain a firm foundation to use the power of EFT for yourself, your friends and children, without having to become a professional therapist first. X wrote: Hi. I know a little bit about EFT and I have used it on myself for various things. However I have a problem I am not sure how to deal with. My erections are starting to be a bit soft. I am no longer able to get a really hard erection. The one Classic EFT question I get asked over and over again is "How do I find the right set up phrase or opening statement to tap on?" That is the million dollar question in Classic EFT because the right set up phrase or opening statement is exactly what makes the "Classic EFT miracle cure" happen in an instance. And to a large degree, how good an Classic EFT practitioner is I would measure by how quickly and accurately they can identify the kinds of set up phrases or opening statements that would unlock that person's problems like the perfect key unlocks a door. Here is an easy way to find perfect Classic EFT set ups and opening statements you can do yourself when you are doing Classic EFT in self help and without an experienced Classic EFT practitioner to help you out. A lot of stress comes not from the past, but from the future - events that you know are going to happen and you're afraid of what will happen when you get there. Here is an awesome Positive EFT tapping script by Energy EFT's creator, Silvia Hartmann, to empower your future self and make you feel a whole lot better, right here and now! 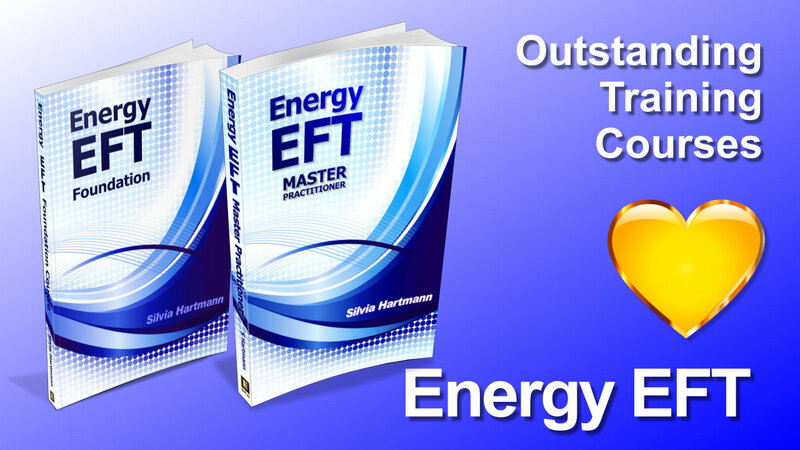 When Is Energy EFT Self Help Simply Not Enough? When should you switch from self help to working with another person who has training in advanced modern Energy EFT? Here are 4 instances when you need a Professional Energy EFT Master Practitioner by your side. "Borrowing Benefits" is a term from Classic EFT - if one or a group "tap along" with an individual, they benefit. Go beyond "borrowing" benefits with Energy EFT. Why Don't They Just Tap On It?! If you have spent any time in the global EFT community, you will undoubtedly notice that there's a lot of negative emotions flying about. People are always falling out with each other over arguments of all kinds, personality clashes, theory clashes, "It's my way or the highway!" style clashes - all sorts. Real, proper human beings "at it" - full on. So the question has to be asked ... "Why don't they just tap on it ...?" Everyone is talking about Positive EFT, and many have strong opinions about it without knowing what it actually is or how it works. Here is our guide to Positive EFT in a nutshell, plus your chance to try it out for yourself and make up your own mind. The EFT Miracle or One Minute Wonder - a tap somewhere in an ordinary round of EFT and KABOOM! 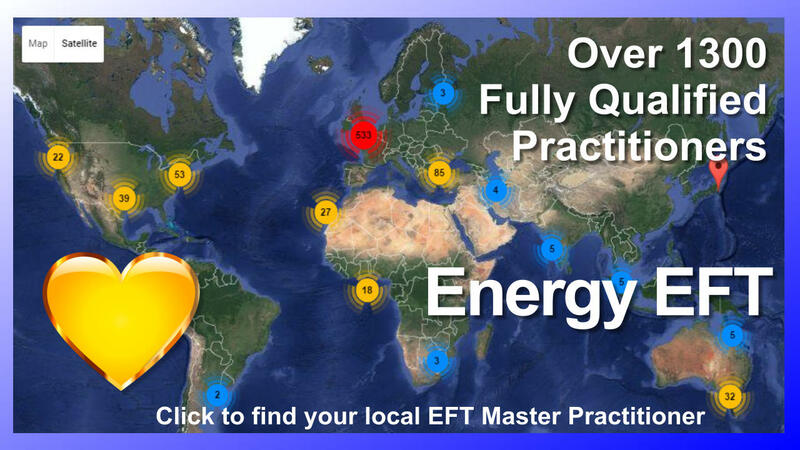 the client experiences a true enlightenment event on the spot - is a unique feature of modern energy work and exactly what is so tremendously exciting about EFT. Yet is is a fact that EFT practitioners are AFRAID of it happening. 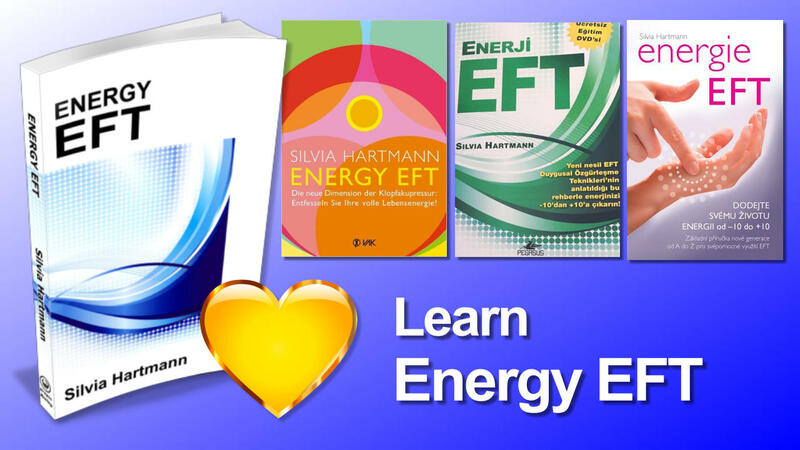 From today, 8th June 2012, the Energy EFT Facebook page will be the home of free daily EFT updates from Silvia Hartmann, author of Energy EFT, designed to help Practitioners, Trainers and Self-Helpers get the most out of EFT. A 40 year old lady with a chronic neck pain -10 SUE scale. She reported that she has a lot of frustration because she could not get rid of the pain even using medication. Color EFT: Tickle Me Pink! There are many wonderful, energizing and de-stressing things that can be done with Energy EFT. This includes Color EFT - a great way to boost the energy system, to make people feel better and to put a smile on your face. Works great with kids, too. Instead of talking about "increasing people's self esteem" we can say, "Increase their energy levels." When our energy is low, we all start losing confidence and have "low self esteem." Indeed, it's a stress indicator, a warning that the fuel of life has become dangerously low! The EFT Story protocol is a hugely important pattern with many uses. Apart from the fact that it can treat any problem that has a story which can be told, it is also a wonderful training device to notice the effects of energetic disturbances on the mind/body/spirit system, to learn about de-stressing, about building a stress free path into the heart of the problem, and taking a negative memory through to a real healing event. In this article, we find important tips on using the Energy EFT story protocol in self help, and a self help session done by Martina Konecna from the Czech Republic, who is student on the Master Practitioner course which is an excellent example how to do the story protocol right. It's quite an interesting thing to start thinking at the beginning of the Energy EFT session of the kind of opposite "remedy" you need for this problem to be healed. In Energy EFT client/practitioner work, this is a dance, a game for two, an exchange at a level where essentially there is no hierarchy and both parties become explorers in the extraordinary world of the energy systems. Many new EFT practitioners are scared and worried about taking on cancer patients. This is very understandable for many reasons. Amongst those are the fear of being seen to promise a "cure for cancer" - which EFT of course is not; but there are also other fears which include being frightened of the enormity of the problem, of cancer itself, of handling not being able to "heal a person of cancer" miraculously, of the emotions involved, and also, the fear of cancer itself. However, when we address these fears - which are only energy blockages, energy reversals and energy injuries, after all - we can find that working with cancer patients is one of the most rewarding, energizing, uplifting and beautiful experiences a modern energy practitioner can have. Isaac Lim, a complementary therapist is registered with the Malaysian Ministry of Health-TCM and member of Malaysian Society for Complementary Medicine (MSCM) and of the Malaysian Psychology Association, shares this excellent EFT story about a young lady who had surgery and speech therapy so she "looked and sounded beautiful from the outside" but on the inside, still felt ashamed and disfigured. EFT helped her feel beautiful inside and out. 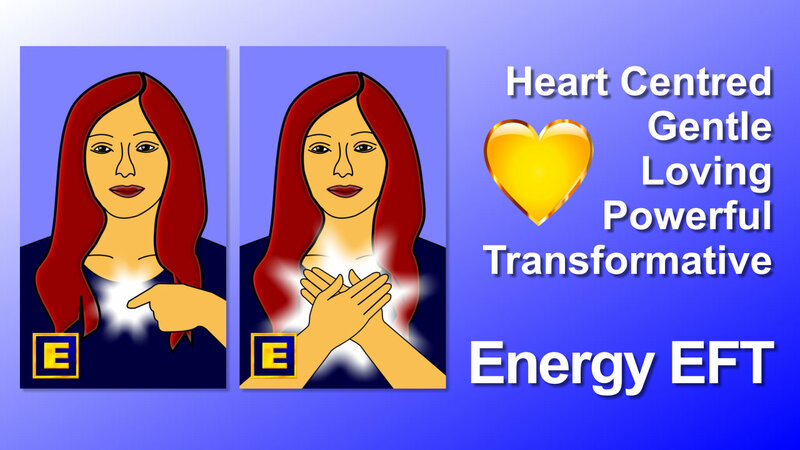 Spontaneously discovered during an early Energy EFT Master Practitioner training, the Energy EFT based "Heart of Gold" pattern is a wonderful experience in EFT self help, with a client or practice partner, or with a whole family or group of people. 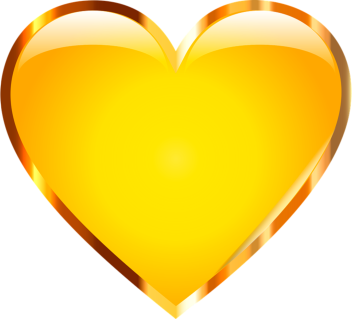 Universally useful to heal reversals to healing as well as spiritual and earthly success, The Heart of Gold is simple, elegant, profound in its repercussions - and makes you feel like a million dollars. Here is a set of printable SUE Scale diagrams, including a SUE scale for kids, for use with Energy EFT. Energy EFT uses the EFT Heart & Soul Protocol which is slightly different from the Classic EFT protocol. Here are new EFT diagrams for Energy EFT practitioners, including a black and white EFT diagram with instructions, the Star Lady EFT Diagram, and three EFT diagrams for kids, featuring a friendly alien and two teddy bears. Free downloadable EFT diagrams including high resolution print versions. The EFT Healing Event, previously known as the "EFT One Minute Wonder" or "The EFT Miracle," is the experience of a unique feature of modern energy work. Instead of a gradual decrease in symptoms, a lightning strike of healing occurs as all of a sudden, energy is freed up and rushes through the energy system. When we combine tapping EFT with aromatherapy, we can create some very interesting experiences of healing and improving the flow of energy. 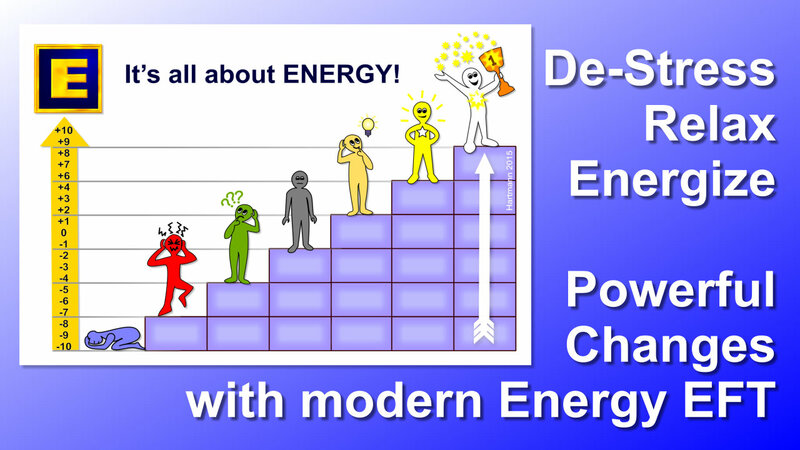 Are you involved with modern energy work such as EFT or EMO? Do you love it? And do you feel a little bit uncomfortable to tell everyone about it because you're afraid people will call you a fool, unscientific, or laugh at you? If so, welcome to the club! 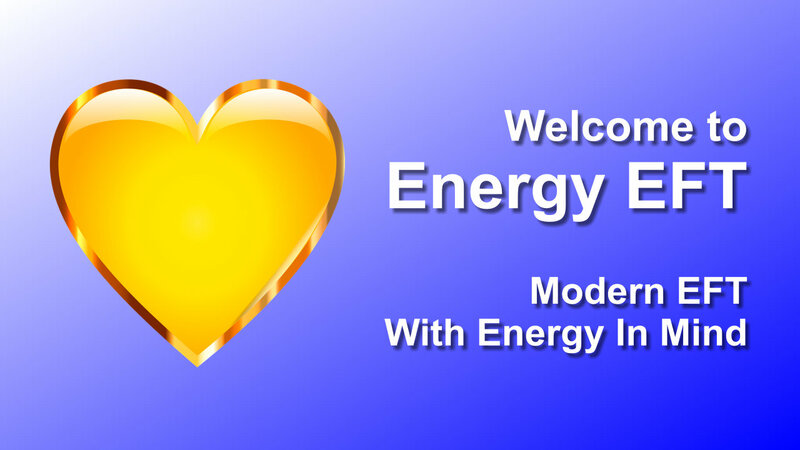 We all have acquired energy reversals about talking freely about energy! So if you're a little nervous about holding out your hand to the world and saying, "Good morning! My name is Silvia - and I'm an energist!" join the GoE conference delegates for a group EFT session right now. To conduct really successful EFT treatment sessions, the EFT practitioner and client need to work together as equals. The EFT practitioner brings their experience and knowledge of EFT and the client brings their knowledge and experience of the problem. When they work together, become in fact the EFTeam, the problem doesn't stand a chance! EFT Proxy Tapping: Do I Have Permission To Heal? Do you have "Permission to Heal"? Just recently, the whole "permission debate" has flared up again, most notably in the context of proxy healing and EFT proxy tapping. Is it permissible to proxy tap EFT for someone else for their problems? A wrote: I first learned about EFT when I bought a reprinted copy of Dr. Roger Callaghan's book "How to Overcome the Fear of Public Speaking and Other Phobias" way back mid-90's. I lost the book before I could really give it a serious try and have forgotten about it until late last year.I borrowed some books and went to youtube.com, but instead of being enlightened, I was actually confused. I am even scared to practice EFT. In June 2011 at the GoE Trainers Meeting at Gatwick, UK, it was decided to adopt the Energy EFT Heart & Soul Protocol for general use as it significantly improves the effectiveness of EFT energy work, streamlines the Energy EFT treatment process and helps Energy EFT practitioners and clients work in a stressfree and mindful manner. The following changes were made based on Silvia Hartmann's report from 2009. The Energy EFT Heart & Soul Protocol is an evolution of the Classic EFT Emotional Freedom Techniques Protocol which includes the Heart Healing Posture, the Top of the Head and the 3rd Eye point for an elegant, natural and less "mechanical feeling" treatment flow in energy work. Also included is a printable EFT Heart & Soul Diagram. A visitor asked: Do you have any advice about EFT for sinus headaches? Tapping just seems to make the pain worse or bring on sickness, as the actual tapping points are tender. Here are some tips for treating sinus headaches, headaches and migraines with EFT. Ever wondered what it is with magic and noses? Why witches have such big noses, and TV witches twitch their noses to make magic happen? Or wondered what this might have to do with EFT tapping points, meridians, self-confidence destroying global reversals and all that jazz? "I have also seen a number of clients who would express a negative emotion, decide to tap on it, raise their hand to the Sore Spot or reach over for the Karate Chop tap, stopped in mid movement and started to laugh as the whole thing had already happened, all by itself." Useful EFT article for advanced EFTers from 2002, outlining how to get from normal or classic EFT to instant EFT IEFT step by step. Since 1999, the GoE EFT trainings certification programs have been instrumental in bringing top quality EFT + professional training to holistic therapists, psychologists, health workers and other interested parties from around the world. If you are looking for a solid EFT training program based on Classic EFT with all the tools, techniques, patterns and approaches needed to conduct EFT sessions with clients, The GoE's Practitioner Of Meridian Energy Therapies Certification Program is the first choice to gain a qualification that is internationally recognised and represents a lasting investment for the EFT practitioner, advanced EFT practitioner, and EFT MET Trainer. Please note that from 2011, the modern EFT Master Practitioner Certification Training is offered to replace this course. Silvia Hartmann writes: I have just heard that Gary Craig, the original designer of EFT Emotional Freedom Techniques, has decided to retire after these many years of unabated effort and sterling service bringing the many blessings of EFT to the people of the World. Here are my thoughts. This article was first published December 2009. Ladies & Gentlemen all, it is of the essence to keep it quite clear that EFT can help us - really help us, if we don't misuse it to the degree that it stops working properly and then we end up "all disappointed again ..."
Read this article so you can avoid the awful fate of spending "50 years in therapy ..."
The SUD Scale or SUD Level reading - short for subjective levels of disturbance (previously discomfort) - is simply ascertained by asking someone, "On a scale from 10 - 0, 10 being the highest possible level of disturbance, and 0 being no disturbance at all, where would you say you are right now?" The SUD Scale has been replaced with the SUE Scale effective November 2011. 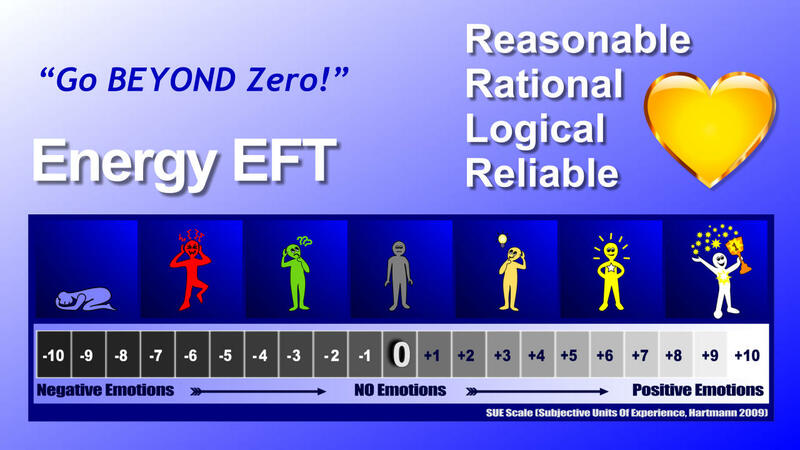 Energized EFT is a reverse engineered insight from EMO to create true "healing events" - threshold shifts of learning, healing and evolution - with EFT. The Classic EFT protocol from 1996 includes a set up or opening statment on the Sore Spot or Karate Chop points, a double face, body and hand tapping sequence, and the 9 Gamut Treatment in the middle. Also known as the EFT Sandwich. EFT Set Up Phrase or Opening Statement refers to the words spoken at the beginning of the EFT Treatment round. In the Classic EFT protocol, the 9 Gamut treatment is the middle part of the EFT Sandwich which consists of one round of Classic EFT, the 9 Gamut Treatment, and then another round of Classic EFT. Also known as the 9 Gamut Procedure or 9 Gamut EFT Point Treatment. Today, I saw a man who had been suffering from Seasonal Affected Disorder (seasonal affective disorder) or SAD as the fascinating acronym may be, and it turned out that the reason he got sad every October was nothing to do with our planet turning merrily through its seasons, as it does, but in fact with a severe trauma that had happened to him as a teenager and the date it happened was October 11th. That was the day when "the lights went out ". Which EFT Tapping Point Does The Trick? 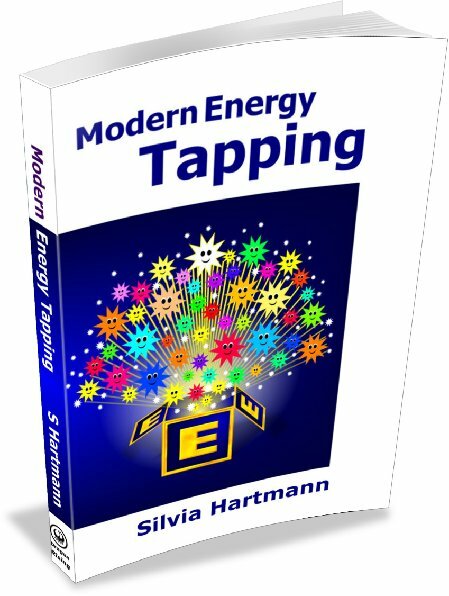 Silvia Hartmann writes: Here is a nice, simple method to help with calming down when tapping with EFT Emotional Freedom Techniques when stress is high. Over time, this can also help you build up a better idea how your energy system works, so you can have a personal map you can work with in many different ways. "I (or someone I know) suffers from (insert ANY disease known to mankind). I'm thinking of using EFT - BUT do you know of anyone else who has successfully overcome/healed (disease X) and HOW did they do it? Where can I find an EFT script for (disease X)?" The "Three Lines Of Enquiry" is a simple, practical and very effective way for beginners to find their way into a problem and come up with the right EFT set up statements and create their own custom EFT scripts which are RIGHT and PERFECT for THEM. Dr Silvia Hartmann writes: I have noticed something which can make a big difference in the effectiveness of EFT treatments (and other treatments that rely on tapping or holding major meridian points). This EFT tip is quite simple and a single instruction given at the right time by an experienced EFT practitioner will improve the speed at which the SUDs levels go down, and reduce the number of rounds needed to complete the treatment. What I have noticed is this. "I'm An Idiot - And EFT Isn't Working!" Today, someone asked me about EFT and in particular, about EFT not working for them on a particular problem although usually, EFT worked well on other topics. I enquired as to what they were trying to do, and what opening statements they were using and as they started to explain it to me, I had to self treat so I wouldn't burst out laughing my head off when the person was so serious and troubled by their enquiry and long standing problem. Paranormal Happenings In An EFT Session? DS writes: While working with a client with EFT the other day we were working on some things that she felt were from a past life - then it got cold in the room and the cold was emanating from her. Download or listen to this excellent free EFT Emotional Freedom Techniques masterclass teleconference with Silvia Hartmann and participants from around the world. Energized EFT, first published in 2007, represents an ESSENTIAL EVOLUTION on the way EFT treatments are conducted and led to the creation of Energy EFT. Raising your metabolic rate makes you faster, stronger and more efficient in mind and body. EFT achieves this by taking out *blockages* and *reversals* which are slowing our metabolism down and is thereby safe and ecological. Raising your metabolism is a content free, very basic endeavour that supports everything you might want to think, be, do or achieve. It works wonders with procrastination, makes "hard" work much easier, helps with fitness and health without having to go to the gym or eating less, and brings about life style changes naturally and from the inside out - they just happen as a result, without willpower or any other type of force being employed to "make it happen". Do you know you are stressed out? Not quite sure? Then let the funny bunny be your guide! Click on "Read More" to see the truly wonderful "EFT Stress Bunny" animation. And yes, you are very welcome to copy it to your own site! Are you the husband or wife of someone who has panic attacks or anxiety attacks? Does your child throw crazy stress tantrums? Are you afraid your partner is going crazy, mad or insane with stress? The question we are often asked is, "What can I do to help my husband, wife, partner or child when they are going crazy with stress?" Here is a complete protocol, using EFT and other techniques and approaches, to help your loved one overcome high stress and so you can know what to do. THINKING about something scary or even vaguely scary causes immediately and directly and very realistically, ADRENALINE to be released into the systems. By using EFT to reduce the build up of adrenaline and stopping the daily adrenaline shocks, we can transform our experience of life. What would you say if I told you I know of a simple method that can make emotional stress such as upset, anger, fear, concern and distress simply melt away in a few minutes and all you had to do to achieve this is simply touch a few "magical points" on your face and hands? Yes, it's true, it can be done, and you can learn to do how in a few minutes, for free, if you're interested. Unlock the power of EFT to change the way you feel about the world in a whole new and rather delicious way with this EFT Energy Meditation protocol that does not only clear your mind, but will also improve your mind/body flexibility, especially with practice. This is an excellent advanced EFT pattern for use with EFT Emotional Freedom Techniques to build a real and powerful motivation from the inside out for a person on a wide range of topics and really help with deep and lasting change. EFT - Unlock The Energy Magician Within! Now for something very exciting - using EFT to get better at doing and using EFT. What do I mean when I say getting "better" at doing EFT? Well, just - better. The aim and outcome is to have more connection with the energy system, more powerful change experiences with more profound results still - whilst it all being so very natural, so easy and it just flows. Here's how to do it. We acquire ereas or thoughtfields into our energy body over the course of our lifetimes which are not our own but were simply put there by someone or something else. These specific, non-self originated ereas have the codename of "evil CDs" - in reference to the metaphor of someone coming along and pushing one of their CDs into your internal stereo against your will, wishes, desires and often even entirely without your knowledge. Thomas asks: "Abraham Lincoln is quoted as saying, "If I had only an hour to chop down a tree, I'd spend 45 minutes sharpening my axe." Is the EFT Set-up Phrase the axe to my problem tree? Is it the 20% of the technique that accounts for 80% of the results? Is it imperative that I have the RIGHT Set-up Phrase? In other words, is it THE most important part of EFT? Thanks. -- Thomas"
This is an article for those who already use EFT for self help but are not trained therapists to give guidance on how to "tap therapeutically" in such a way that the other is having a good experience and gets the changes they desire. Certain problems cannot be resolved until they are resolved in the right order and sequence. A ship cannot leave a harbour successfully until the crew is on board, the anchor has been lifted, the ropes tying it to the quay released and the engines switched on – and all of this needs to happen in the right order and sequence or else the whole process simply gets nowhere at all. Learning to do EFT as a ritual has great advantages in moments of high disturbance and crisis. Practising the Classic EFT protocol, or one of the others to the point that it becomes automatic, ritualised, a ritual, can be life saving. EFT involves tapping on certain meridian points to unblock and re-balance the energy system. Exactly HOW one taps, makes all the difference to exactly how good the treatment is going to be. Dr Hartmann takes a closer look at tapping EFT, and how to tap right. In the quest of “getting in touch” with your own or a client’s unique internal experiences of any given problem, metaphors are probably the single most powerful, infinitely subtle and precise forms of linking up that are known to us at this point. The apex effect in EFT is an occurrence whereby a client has a successful treatment but then forgets that it was EFT which helped them - or sometimes even that they had the problem in the first place! Update: It was recently discovered how to make the Apex effect redundant. 2012 information included. Here is a complete EFT Emotional Freedom Techniques Protocol for you to try courtesy of the best selling book on EFT 'Adventures in EFT' by Silvia Hartmann. This is the original, classic EFT protocol including the Gamut treatment that helped so many since 1996. For the new 2012 EFT Heart & Soul Protocol see here. Like EFT, this technique is based on the meridian system which transports energy around the body. Fear and stress results in blockages in this system. When the blockage is softened or removed, energy flows freely and you experience a sense of calm and well being. Below, you will find the EFT Based Two Minute Release animation that will take you through a simplified version of stimulating a number of major meridian points by lightly touching or massaging them and breathing deeply at the same time. Debunking EFT - Is EFT Just Hypnosis? Of course I have met my good share of those who seek to debunk EFT as well by now. The first question is always, is EFT hypnosis?